While many may dream of the days where cars are able to drive people to and from point A to point B themselves, for one east coast city, the future may already be here. Following in the footsteps of other technology companies such as Google and Tesla, Uber, the mobile-based taxiing service has unveiled a new step forward in driving technology: a self-driving car. Volvo has partnered with Uber in order to help develop a self-driving car, and their site of development is in Pittsburgh, Pennsylvania. Distractions: A fully active self-driving car will offer passengers an opportunity to take their eyes off the road for other diversions, such as texting, reading, or working. While this may seem ideal for commuters, in the real-life example being introduced in Pittsburgh, an Uber driver must be present behind the wheel at all times during the car’s journey to ensure safety, if need be. If the driver is not concentrating on the road, they may not be able to intervene when the car’s driving intelligence system has a hiccup. Road Safety Will Become Worse Before It Gets Better: While America makes the transition to self-driving cars over the standard vehicle, there will be a mix of autonomous cars on the road along with human drivers. On top of this, the self-driving cars will need to be tested for all types of weather, such as rainy, icy, or snowy conditions. Mixing other human drivers onto the road will make matters worse, as a person is prone to reacting differently than a machine. 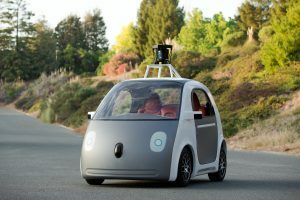 Computer Driven Cars Will Be Hackable: In today’s age with cyber crimes on the rise, computer security for self-driving cars must be absolutely unflinching. A skilled hacker operating with malice could take over a computer operated car’s system and steal the car, or worse. These are just some of the risks that have been thought up by experts for when the self-driving car becomes commonplace. In one incident that made national headlines, a tech enthusiast was driving a “semi-autonomous” Tesla vehicle, when he was involved in an accident that claimed his life. A car’s driving system cannot account for many of the things that a human uses to base their judgements and decisions on when on the road. In this particular accident, the automated driving system could not differentiate between an open sky, and the white side of a merging tractor trailer. The self-driving system ended up passing the car underneath the trailer, causing an accident. While Tesla states that this was an incredibly rare circumstance, if people are to trust self-driving cars, they must be able to depend on the systems driving them. Without more preparation, unleashing these new automated vehicles may cause more accidents like these. If you or a loved one has been injured in a motor vehicle collision in NH, contact Tenn And Tenn today for a free telephone consultation. Our NH car accident lawyers have been representing injury victims for more than 25 years. We have the experience and knowledge to help you recover full compensation for your injury and damages.